In the early 2000s, Marjane Satrapi’s Persepolis set a new standard for graphic memoirs. 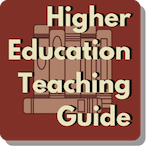 Taking an inside look at the brutality and absurdity that overtook her native Iran in the early 1980s, Satrapi’s book met with resounding success amount casual readers as well as educators and librarians who embraced its capacity for increasing cultural understanding. Nevertheless, Satrapi’s memoir has been challenged numerous times over the years by those who do not appreciate its unflinching account of reality. 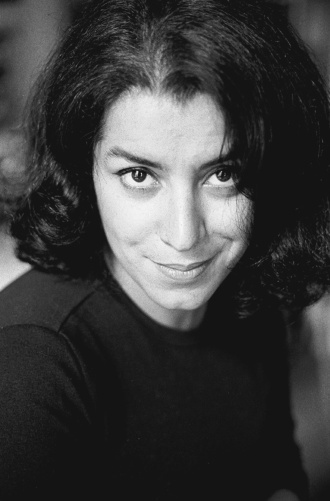 Satrapi often regaled her friends in France with stories of her surreal childhood, and they, in turn, introduced her to comics including Art Spiegelman’s Maus. She had been dabbling in children’s picture books without success, butSpiegelman’ss work proved that illustrated books could treat more serious subjects. 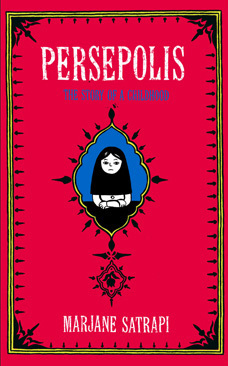 Satrapi decided to try her hand at a graphic novel memoir, and produced Persepolis in four volumes between 2000 and 2003. 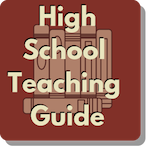 They met with immediate critical and popular acclaim in France, and were translated and collected into two volumes for the U.S. market in 2003 and 2004. In 2007 she co-wrote and directed the animated movie based on the comics, which tied for the Jury Prize at the Cannes Film Festival, won two French Césars, and was nominated for an Oscar and a Golden Globe. 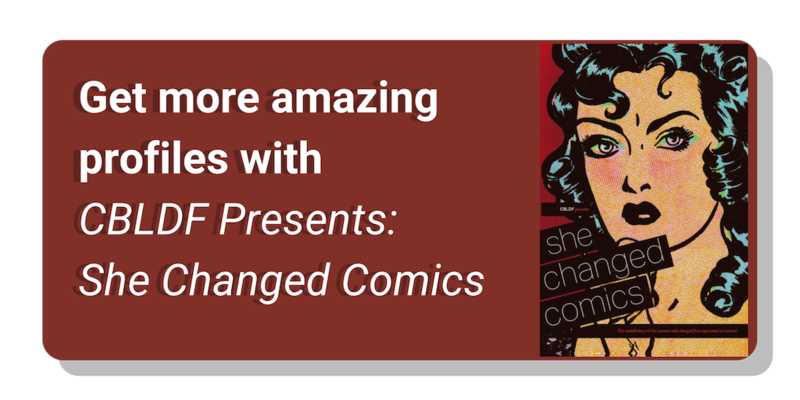 CBLDF Presents: She Changed Comics is the definitive history of the women who changed free expression in comics, with profiles of more than 60 groundbreaking female professionals and interviews with the women who are changing today’s medium, including Marjane Satrapi, Noelle Stevenson, G. Willow Wilson, and more! She Changed Comics also examines the plights of women imprisoned and threatened for making comics and explores the work of women whose work is being banned here in the United States. 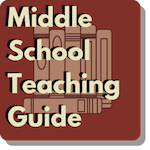 A must for readers of all ages, students, and educators.